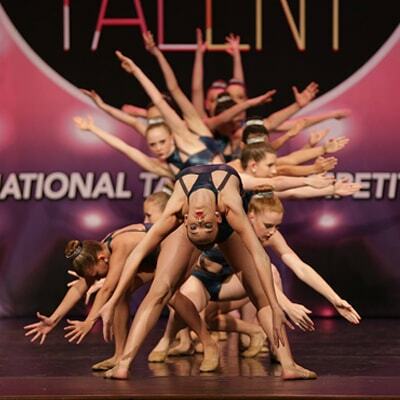 Shutter Storm is a multi-media company primarily based in the world of competitive dance. We specialize in the art of archiving creative and artistic movement through photography and videography. Our highly trained staff strive to ensure that the dedication, hard work, and emotion of countless hours of rehearsal are captured for a lifetime. "We recently booked Shutter Storm for our dance studio portraits and our Spring Concert photography. We couldn't be happier! The photographer was polite, professional and extremely talented. The dancers' posed shots were adorable but most impressive were the action shots; our clients were thrilled with the end result. We have already begun using these spectacular images for various studio promotions and we have reserved Shutter Storm for our upcoming Nutcracker performance and our dance company headshots and performance showcase. Thank you Shutter Storm for such a terrific experience!" "I just wanted to give a shout out to one of the best photo/video companies our studio has ever dealt with at a dance competition. To my knowledge, this is the first time we have ever be able to get photos from two camera angles and the company included approximately 250 pictures per dance!!! There have been times in the past that I paid basically the same price for maybe two dozen photos of MUCH poorer quality work. I sure hope to run across these guys in many, many competitions to come! Thanks Shutter Storm Photography 'For capturing the moments that matter' for going above and beyond this past weekend at LA DanceMagic Baton Rouge!" Check Out Our All New Online Store For All Of Your Viewing And Purchasing Needs... From Digital Downloads And Prints To Specialty Items And Videos, We Have You Covered! To Learn more about Shutterstorm and who we are as a company, check us out on Facebook.